Learn the Exeter Trauma Stem for Intracapsular Neck of Femur Fracture – Stryker surgical technique with step by step instructions on OrthOracle. Our e-learning platform contains high resolution images and a certified CME of the Exeter Trauma Stem for Intracapsular Neck of Femur Fracture – Stryker surgical procedure. This technique will take the reader through the modified Hardinge approach to the hip and insertion of a cemented Exeter Trauma Stem (ETS) hemiarthroplasty. These vast majority of these fractures occur in elderly, infirm osteoporotic patients and attention to medical management and multidisciplinary team working is essential. These are major fractures and should be performed by the appropriately experienced and not left to isolated junior trainees in my opinion . 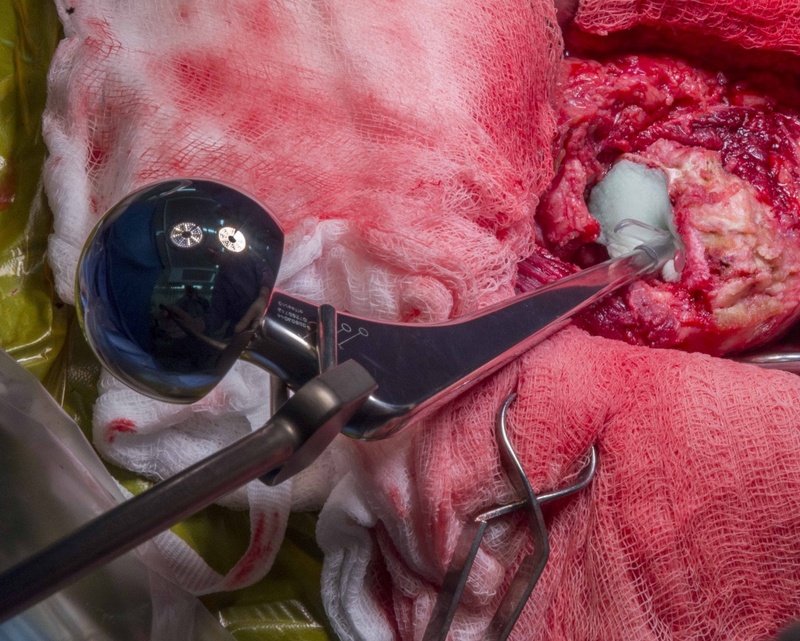 There are steps in the technique which can be challenging to the inexperienced, for example dislocating the femoral head or reducing the cemented hemiarthroplasty , and prolonged operating time may lead to an increased risk of infection. I have tried to highlight particular challenging steps and potential solutions in the text. The National Hip Fracture Database is an exceptionally useful tool to visualise and benchmark care and outcomes of hip fractures, however the granularity and any big data remains limited. I hope therefore that this presentation is of use. Enjoy.